NEW ORLEANS – SRP Environmental is pleased to announce the opening of their new office located in New Orleans, Louisiana, with a satellite office in Baton Rouge, Louisiana. This office will offer full-service environmental and industrial hygiene services to include environmental reporting, site assessments, soil and groundwater testing, asbestos and mold surveys, employee exposure monitoring, noise monitoring, and indoor air quality. Additional services include site safety audits, safety training and consulting. In conjunction with their Houston office, SRP will be able to mobilize and rapidly respond to disasters along the Gulf Coast. The addition of locations reflect SRP’s innovative company goals that focus on quality client service, and cost-saving solutions. With over 20 years of experience and 11 locations, 5100 clients have experienced the SRP Difference. As a result, SRP has seen an 88% financial growth over the last three years. SRP plans to continue to hire qualified and highly trained consultants, while adding services to complement their core business offerings. For more information, call SRP Environmental at (866) 222-4972 or visit online at www.srpenvironmental.com. 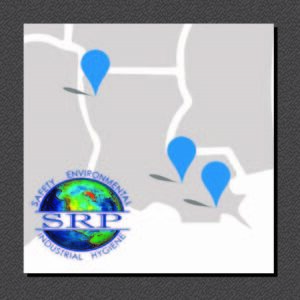 SRP Environmental is a full-service environmental, industrial hygiene and safety consulting firm headquartered in Shreveport, Louisiana. Since 1996, SRP has leveraged its diverse knowledge base to ensure that clients are in compliance with applicable environmental, industrial hygiene and safety regulations. SRP supports companies nationwide in the oil and gas, agricultural, manufacturing, construction and healthcare industries.